The Getty Research Institute, in partnership with the Los Angeles Philharmonic, has embarked on a year-long program to historicize the movement and recreate seminal performances and installations. Fluxus was one of the most influential art movements of the 20th century, but paradoxically, one of most difficult to define. Interested in collapsing the distinctions between art and life, Fluxus artists celebrated the everyday, the ephemeral, the transitory, and the time-based, favoring process over product, multiples over masterpieces. The term itself, coined by Fluxus founder George Maciunas in 1961, meant “to flow,” capturing the sense of instability and constant change that the movement embodied. The Getty Research Institute, in partnership with the Los Angeles Philharmonic, has embarked on a year-long program to historicize the movement and recreate seminal performances and installations. Launched last year, the Fluxus Festival continues this week with Yoko Ono: BREATHEWATCHLISTENTOUCH, a celebration of the artist’s career in which several female musicians and artists will reinterpret her art and music. Featured performers include Shirley Manson, Madame Gandhi, St. Vincent, Kamil Oshundara, and many others. 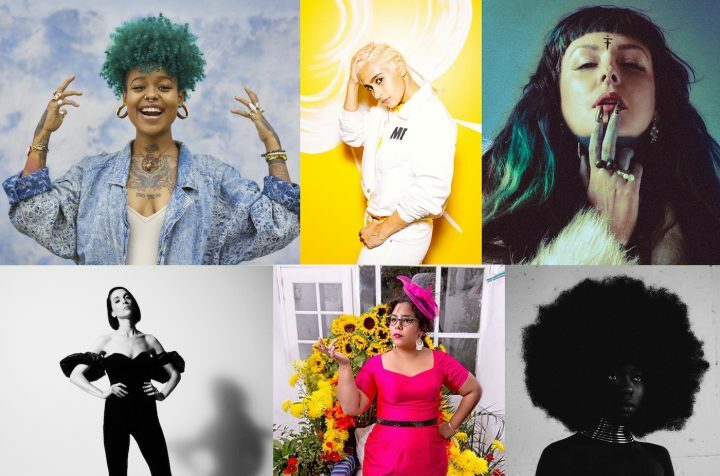 Before the performance, guests can come early for Imagine Grapefruits, a “marketplace of ideas” showcasing arts programs, publishers, and artist collectives fronted by women, people of color, and non-binary individuals. Upcoming events in the series include violinist Patricia Kopatchinskaja performing works by John Cage and La Monte Young at the Getty Museum; Ragnar Kjartansson’s 12-hour repetition of the final moments of Mozart’s “The Marriage of Figaro”; and David Lang’s “crowd out,” a work composed for 1,000 voices, the score for which was crowdsourced using internet search engines. More info at LA Phil.